Frani Pollack is a licensed social worker and psychologist. She has over 20 years of experience working with individuals, couples, and families with a wide array of concerns. She has particular expertise in working with eating disorders, trauma, and relational challenges with couples and families. Dr. Pollack is also an experienced teacher and supervisor of graduate students training to be clinicians. 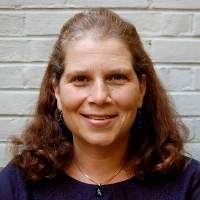 She is currently teaching at the University of Pennsylvania, Bryn Mawr School of Social Work, Council for Relationships, and Home Based Family Training. Frani speaks and writes on a variety of psychological issues. She currently works as an eating disorder consultant and supervisor at Bryn Mawr college where she also teaches in the graduate school of social work.